This month of June has been hectic. 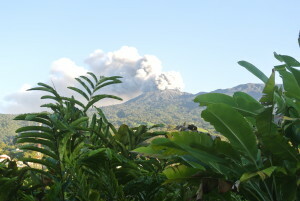 The erupting Turrialba Volcano attracting friends, family and visitors. And of course, visits from the OVSICORI (Observatorio Vulcanológico y Sismológico de Costa Rica) personnel. The OVSICORI is part of the National University of Heredia. Their vulcanologists monitor all volcanoes in the country. So too, they monitor our Turrialba Volcano constantly. In the same way, they do this with the Poas Volcano. 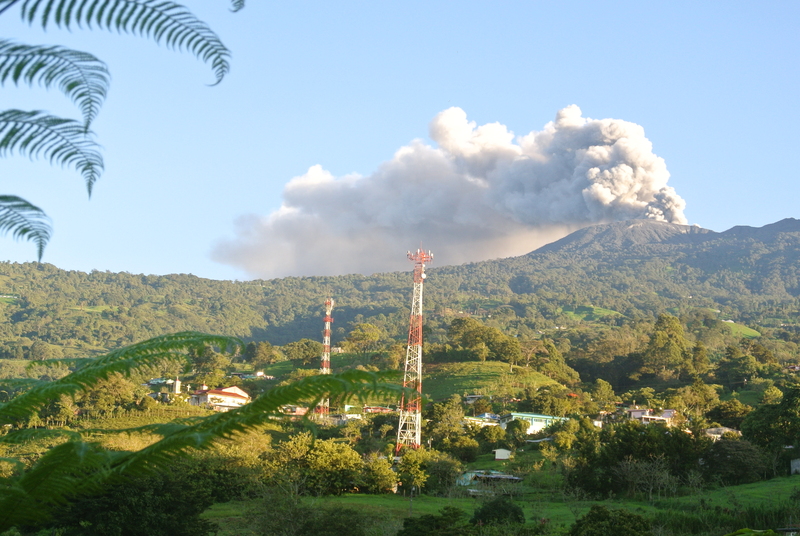 At the moment the Turrialba is the most active volcano in the country. It shows off with daily activity. Sometimes erupting with more force and sometimes just puffing away gently. From Guayabo Lodge we see it very clearly, weather permitting. 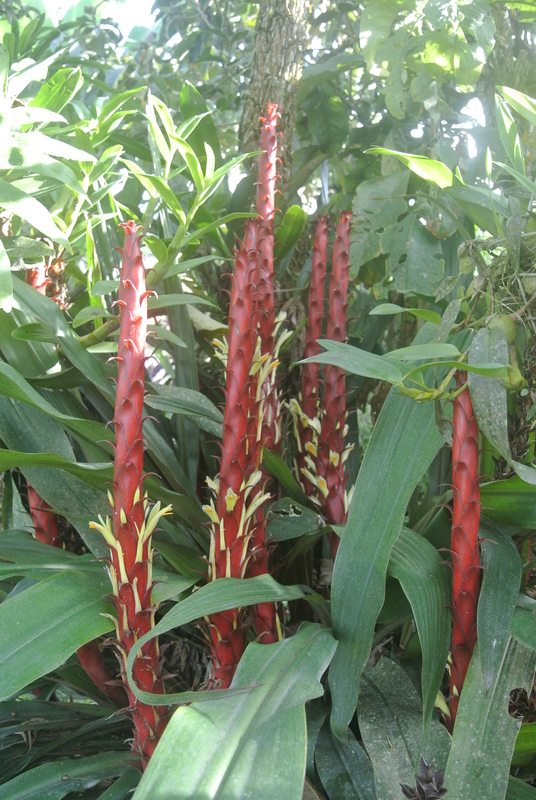 With ever changing sceneries it adorns our gardens. Sometimes looking sleepy and peaceful. 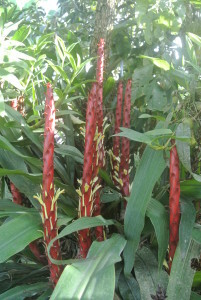 Yet on some other days it gives a spectacular show with its eruptions. 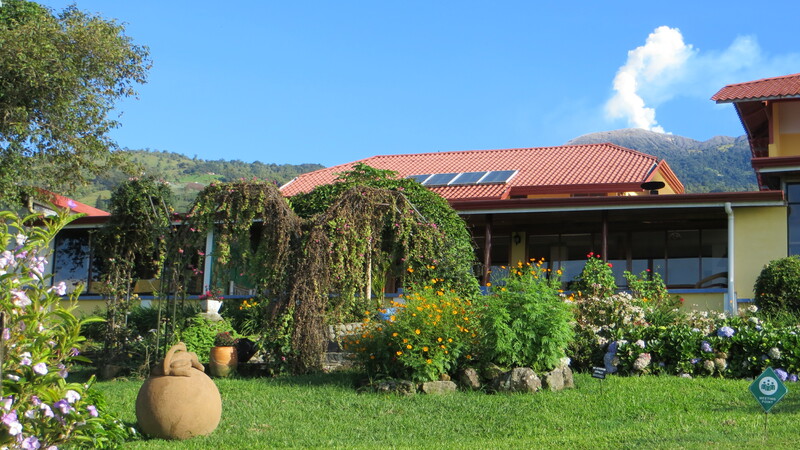 We want to share some photos with you of our erupting Turrialba volcano and the garden during this month of June 2016. We hope you will enjoy them! 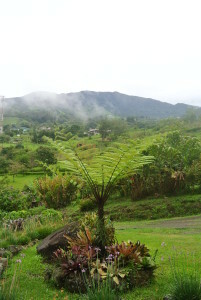 The first photo shows a calm volcano early in the morning. The second and third photo show the erupting Turrialba volcano later on during the day. As you can see the winds direct the eruption towards the Central Valley. The mood of the volcano changes abruptly within minutes. You cannot predict what will happen on a given day. So, we expect small eruptions at any time! 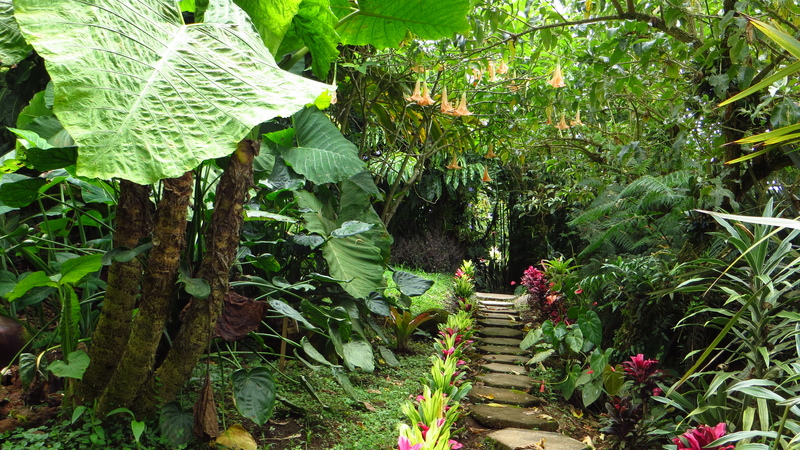 The next three photos show different views of the garden at Guayabo Lodge. In fact, the garden of the lodge has many very different corners (or niches) and plant species. 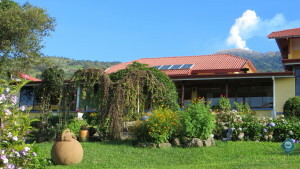 Finally, the last photo is of the front garden of the lodge and on the background you see the erupting Turrialba volcano.